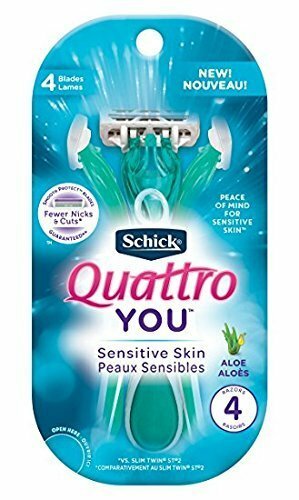 UPC 841058022459 | Schick Quattro You, Sensitive Skin, Four Blade, Disposable Razors, 4Ct. Marketplaces and prices shown matched UPC number 841058022459 during our search. 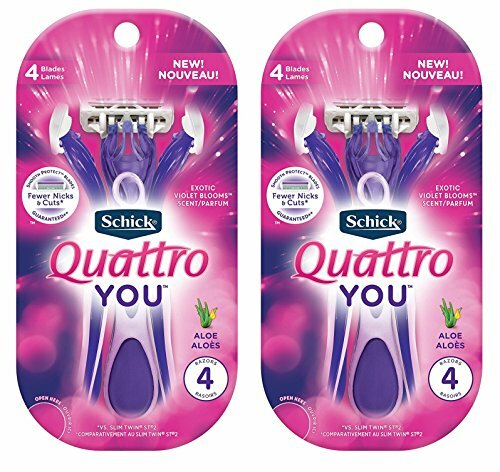 Introducing NEW Schick Quattro YOU, disposable razors for women uniquely designed to protect your skin and offer you a shave so close, you can skip a day or two. It's also designed so that you get fewer nicks and cuts,* guaranteed. ** With Smooth Protect blades, you get the smooth, long-lasting shave of a 4-blade razor at the price of a 3-blade. 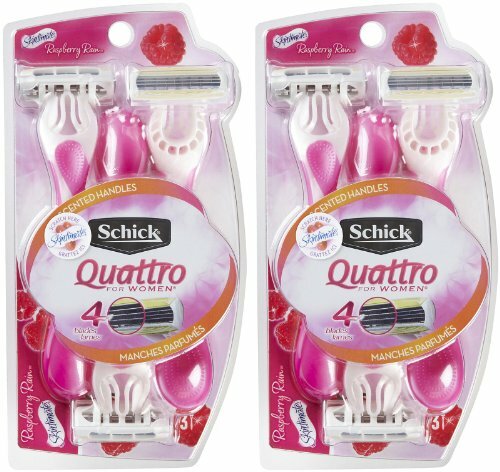 *** These razors are a perfect choice for sensitive skin. 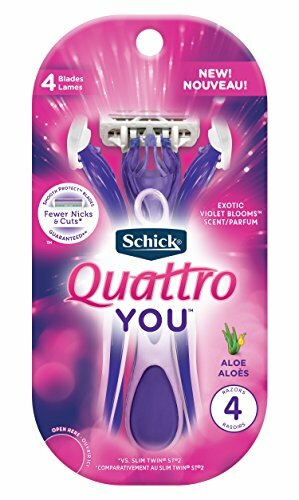 Infused with aloe to soothe sensitive skin and prevent irritation, the Quattro You 4-Blade Razors from Schick offer a super close, smooth shave.